What programming languages are you most proficient in? I am an entrepreneur from London. 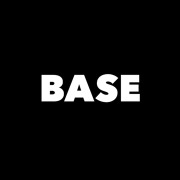 This is an exciting time for our human computer civilization and BASE is a community organization dedicated to creating events for software engineers on emerging technologies and topics that have never been attempted before. Events focus in on topics like Machine Learning, Robotics, Nanotechnology, Arduino, 3D Printing, Synthetic Biology, Artificial Intelligence, Computer History, Computer Vision, Big Data, Augmented Reality (AR), Wearable Devices, Software to Create Art, and Interstellar Space Travel all from a software engineers perspective. BASE creates events only possible in San Francisco and the Bay area with experts from all walks of life as possible speakers in panels and even debates between different languages, IDE's, technologies, techniques, marketing strategies and more. BASE offers unbelievable social networking opportunities with people from all backgrounds and philosophies. We encourage everyone to join who has a love for new technologies, software engineering, and the opportunity to network with people building the future. Join BASE, attend our events, and experience it for yourself.